In the center of the room there is a white and translucent tent. There is a passage in to the tent at one end of it. 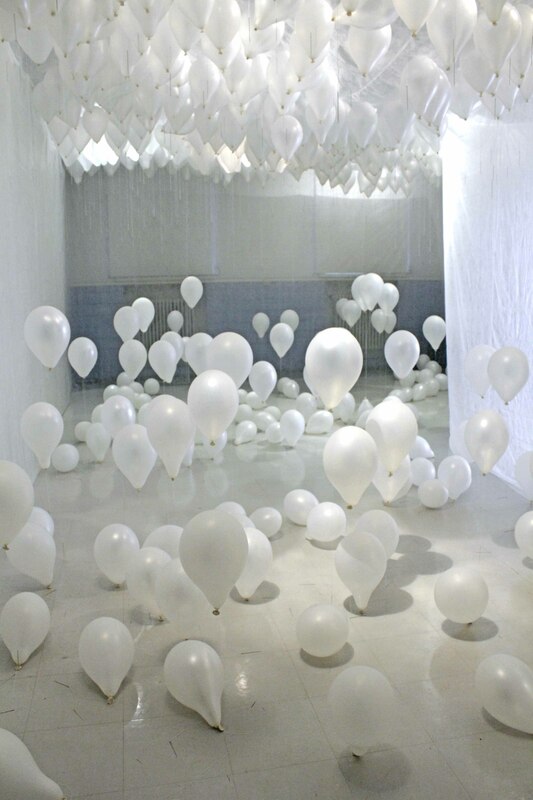 Inside the tent is filled with white helium balloons. Each balloon has a needle attached to the other end of the string. 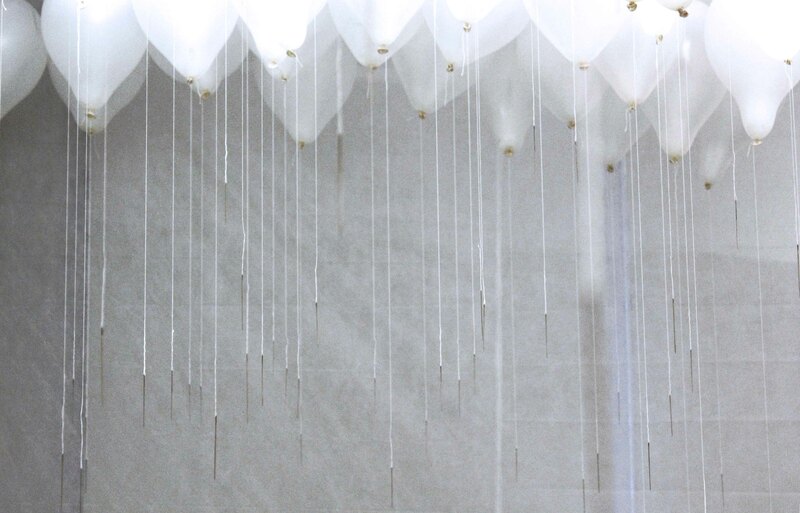 The balloons with their attachments are in various different stages of descent during the time of exhibition. Keep On Dreaming is a piece that deals with the dream state that one falls into through the routine of everyday life. We make constantly choises in our lives presuming that we are in contact with reality. This sence of reality is extremely fragile and often not even not so based on facts but we need it to survive. We need some sence of continuity and security to be able to go on with the routines of daily life. We as humans need to feel there is sence to go on with living. This same illusion of order can obscure us from seeing the possible alternative choises that we have. When we are confronted with a crises that brakes this illusion of reality we face also a possibility to wake up from it. Sometimes this helps us see what is trivial and what is essential in our lives. Other times it just shows us truths too ugly and unbearable. Whatever it is that crises lays bare about our lives, eventually we turn back to haven of everyday dream. Info | Artist Statement | Biography | CURRICULUM VITAE | Create a free website or blog at WordPress.com.